Unity Tactical aftermarket slides for Gen 4 and 5 Glocks pre-milled for the revolutionary ATOM system. 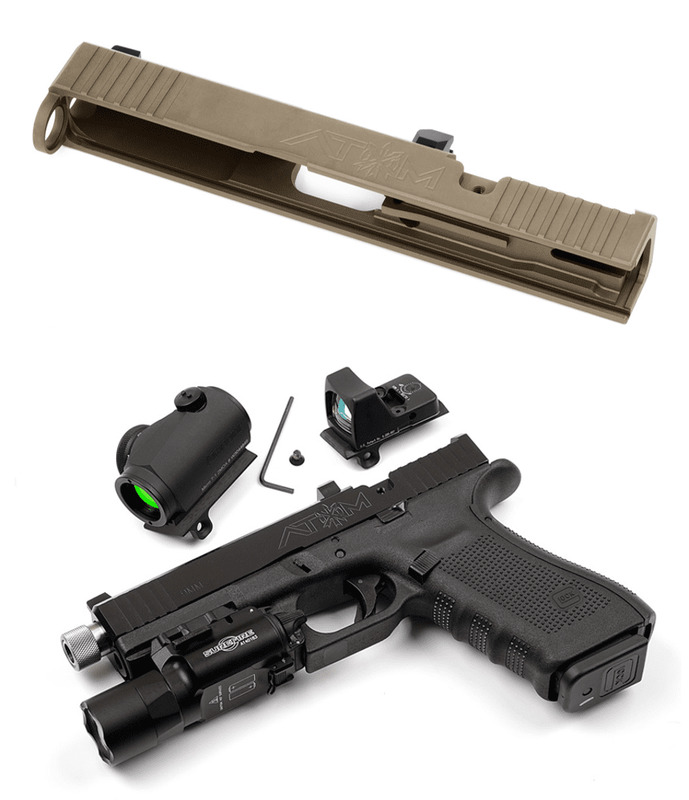 NOTE: For Gen5 compatibility, use Gen4 internal parts with a Gen 5 Recoil Spring and Slide Back Plate. 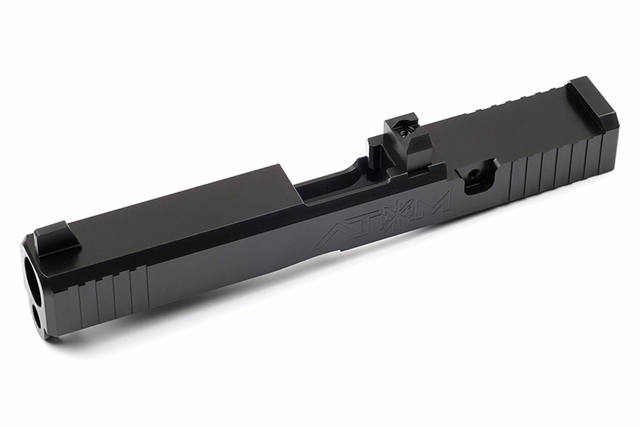 This is a stripped slide only and does NOT include barrel, internal parts or adapter plate. It does include correct height BUIS. ATOM™ was a concept brought about by a requirement to mount Aimpoint’s excellent line of Micro optics on pistols. 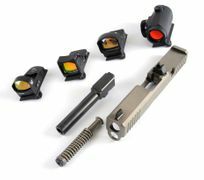 The extension of the design allows you to mount nearly any compact optic to your pistol without being stuck with one option. The ATOM™ adapter plate system not only allows optic modularity, but also future-proofs your investment. As the pistol-ready red dots market evolves, Unity will make new adapters to match the evolution. ATOM Adapter Plates for optics and sights sold separately. See link below.